Currie, Philip J.. "Dinosaur". The Canadian Encyclopedia, 11 April 2019, Historica Canada. https://www.thecanadianencyclopedia.ca/en/article/dinosaur. Accessed 24 April 2019. Dinosaur, term used for a taxonomic group of animals that includes the Saurischia (lizard-hipped) and Ornithischia (bird-hipped) that dominated Earth during the Mesozoic era (250-65 million years ago). Dinosaur [Gk deinossauros, "terrible lizard"], term used for a taxonomic group of animals that includes the Saurischia (lizard-hipped) and Ornithischia (bird-hipped) that dominated Earth during the Mesozoic era (250-65 million years ago). Dinosaurs evolved from the same ancestral stock as pterosaurs (flying reptiles) and crocodiles and are almost certainly the direct ancestors of birds. Saurischians can be subdivided into 2 major types: theropods (beast-footed) and sauropodomorphs (lizard-footed). Theropods, dominant carnivores of the Mesozoic, were bipedal and include some of the smallest (eg, genus Compsognathus, less than 3 kg) and largest known dinosaurs. 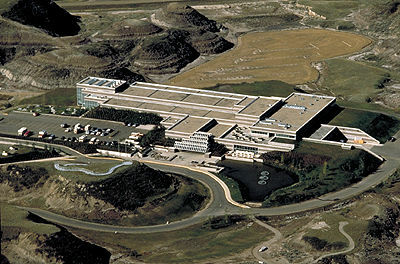 Typical forms, Albertosaurus and Tyrannosaurus, have been found in Alberta, Saskatchewan, Montana and S Dakota. Although dinosaurs are legendary for their small brains, some smaller theropods had relatively large brains, comparable to those of primitive mammals. Primitive sauropodomorphs, like Plateosaurus from the early Mesozoic, are best known from Europe and Africa, although footprints and isolated bones have been found in Nova Scotia and New England. Apatosaurus, or "Brontosaurus," and Diplodocus are 2 of the best known, but not largest, sauropodomorphs. Two forms found recently, Ultrasaurus from Colorado and Argentinosaurus from Argentina, would have weighed more than 50 t each. Sauropodomorphs were herbivorous. Ornithischians (all herbivorous) can be assigned to at least 4 suborders: Ornithopoda, Stegosauria, Ankylosauria and Ceratopsia. Ornithopods are generally considered the least specialized; many were able to walk on their hind limbs. Duck-billed dinosaurs (hadrosaurs) are known from N and S America, Europe and Asia; approximately half of the known species have been found in Alberta. Hadrosaur nests, some with embryos, are known from Alberta and Montana. Stegosaurs had characteristic bony plates running down their backs. These may have protected them from large carnivores, or their purpose may have been to regulate body temperature by acting as radiators. Stegosaurs are best known from Jurassic deposits of the western US. 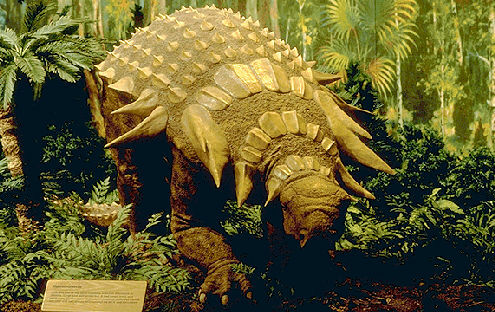 Ankylosaurs were armoured dinosaurs, protected by thousands of bony plates covering the top of the head and body, even the eyelids and cheeks of some species. Panoplosaurus, Euoplocephalus and Ankylosaurus once lived in Western Canada. Horned dinosaurs (ceratopsians) were one of the most successful groups. More than 10 genera, including Triceratops, Centrosaurus and Styracosaurus, are known from Alberta alone. Enormous diversity of form occurred in the horns projecting from over the nose and eyes, and in the frill extending backwards over the neck. Even the earliest dinosaurs must have been well adapted to their environment. One site for early dinosaurs is near Parrasboro, NS, where small, primitive dinosaur skeletons and footprints have been collected in recent years. A major find in 1986 has revealed 100 000 fossilized jaws, skulls and teeth of tiny dinosaurs, crocodiles, lizards, sharks and fishes. It is the largest find in the world from the Triassic and Jurassic periods (250-144.2 million years ago). From their first appearance early in the Mesozoic, they rapidly evolved into many different forms, and competed so successfully with the mammal-like reptiles that they became the dominant land animals. Mammals did not rise to prominence until almost 150 million years later, after dinosaurs became extinct. The success of dinosaurs has long been a source of wonder. It has only been since the 1970s that reasons for this success have been seriously examined. A breakthrough came when scientists realized that it might be more appropriate to compare dinosaurs with mammals and birds than with living reptiles. Debate continues on whether or not dinosaurs were warm-blooded; however, it is now generally accepted that they were not simply oversized crocodiles in their physiology, ecology, behaviour and other adaptations. Detailed examination of dinosaur bone cells shows that dinosaur bone is much closer to that of mammals and birds than to that of living reptiles. Other evidence, including limb structure and the presence of sophisticated feeding and breathing adaptations, has been used to support the hypothesis that dinosaurs were warm-blooded. However, most palaeontologists feel that the evidence is inconclusive. Although the size range of dinosaurs is enormous, most species were over 100 kg at maturity. Because they hatched from eggs, baby dinosaurs would have been relatively small. Dinosaur eggs have been found at numerous localities worldwide, but embryos within eggs are currently only known from Alberta, Montana, China and Mongolia. Sauropodomorph eggs, from France and Mongolia, have diameters of less than 20 cm, and eggs of most other dinosaurs are much smaller. The sauropodomorph hatchling would have been less than 2 m long. Because dinosaurs could grow throughout their lives, this hatchling might have increased its size more than 50 times during its lifetime. Specimens of baby dinosaurs are rare. Perhaps they never made up a significant portion of the population, or, as seems more likely, these tasty little morsels would simply have been eaten whole when caught by predators. Occasionally, the bones of baby hadrosaurs and ceratopsians are found in Alberta, and footprints of baby hadrosaurs have been identified in BC's Peace River Canyon. 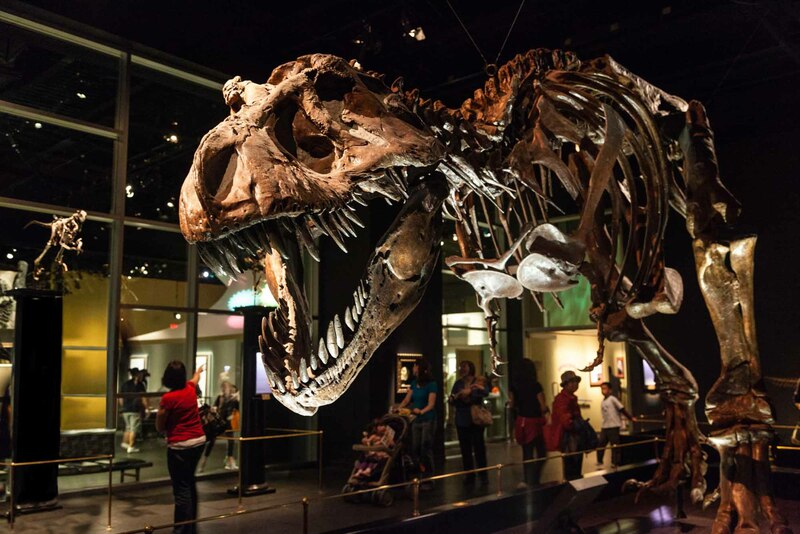 A spectacular site at which about 75% of dinosaurs recovered are juveniles was found in Montana. Eighteen baby hadrosaurs were recovered from one nest alone. The fact that these babies had hatched several months before they died suggests that the juveniles were gregarious animals and that there may have been some form of parental care. In the summer of 1987, hadrosaur nests with eggs were discovered in S Alberta in rock strata correlative with those in Montana. The Alberta eggs have yielded well-preserved embryolic hadrosaurs, the full implications of which are being studied. Study of dinosaurian anatomy has long been a fascinating subject because of its diversity. For example, hadrosaurs were born with relatively flat heads, but forms such as Lambeosaurus developed characteristic bony crests on the head as they increased in size. Crest size differed in males and females. Diversity of shape and size of hadrosaurian crests has been a source of speculation since the discovery of the first hooded form, but the key to their function lies in the pronounced development of the crest, which came only at sexual maturity. It appears probable that crests were little more than display structures recognized visually for mating, protection of territory, dominance display, etc. A space inside the crest connected to nasal passages probably served as a resonating chamber. As each species had a crest of a different shape, each would have made different sounds, allowing members of the same species to recognize one another. 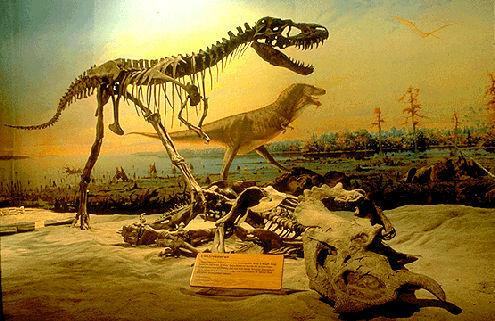 Most of our understanding of the ecology of late Mesozoic terrestrial faunas and floras is derived from Dinosaur Provincial Park, Alta, because of numerous specimens and other data collected there. In many ways, the world of dinosaurs was not as exotic as most people imagine. The environment superficially resembled that of northern Florida. Dinosaurs were greatly outnumbered by insects, fish, turtles, lizards, snakes, crocodilians and other animals, which were no larger than their living relatives and, in many cases, indistinguishable from them. Small mammals, including relatives of the modern opossum, would have been seen scurrying through the undergrowth, and birds would have occupied many of the niches they do today. Our understanding of dinosaurian ecology is constantly being refined. Fragmentary specimens that would have been ignored before now provide information on previously unknown animals. Species have been identified in Alberta that were once known only from Mongolia, and scientists now realize that many of the differences between Asian and N American forms were related to differences in environment, not to simple geographic separation. It is becoming apparent that dinosaurs were capable of more complex behavioural patterns than modern reptile species. Trackways can be particularly useful in showing what animals were doing when alive. Herding behaviour can be implied for hadrosaurian dinosaurs because of trackways found in Peace River Canyon. At one site, parallel trackways show a herd of 17 hadrosaurs walking in the same direction. At one point, 4 animals were walking so closely together that when one lurched sideways it bumped its neighbour, initiating a chain reaction that affected all 4. Other trackways suggest that juveniles stayed together after hatching. They may not have joined more mature herds until almost half-grown. Recent expeditions by the Dinosaur Project (Royal Tyrrell Museum of Palaeontology, Drumheller; Institute of Vertebrate Palaeontology and Palaeoanthropology, Beijing, China; and Ex Terra Foundation, Edmonton) have conducted fieldwork and research in Alberta, the Arctic and China, seeking supportive evidence for intercontinental migrations. The Dinosaur Project has produced a major international travelling exhibit that has toured the world. Bonebeds are accumulations of bones from many individuals concentrated by natural processes into a single area. A river in flood, for example, might pick up bones of animals that died along its banks. In most cases, it is impossible to know which bones came from which individuals, although types of animals can be identified. There are probably thousands of Cretaceous bonebeds in Western Canada, study of which is producing important anatomical, ecological and behavioural data. A small percentage of these bonebeds is dominated by single species of ceratopsian (eg, Centrosaurus, Styracosaurus, and Pachyrhinosaurus). Some sites appear to represent mass deaths of herds, occurring over a period of at least 10 million years. A major question concerning dinosaurs is why they became extinct at the end of the Mesozoic (65 million years ago). Dinosaurs were not the only animals affected. Some evidence suggests that perhaps as many as 75% of all known types of animal species (invertebrates, amphibians, reptiles, mammals) may have become extinct at the same time. Plants, on the other hand, seem to have had relatively few problems in crossing the boundary into the Cenozoic era (age of mammals). Innumerable theories have been proposed to explain the extinctions. They range from climatic changes and the collapse of ecosystem to a collision between Earth and an asteroid. Two related questions are critical if the answer is ever to be found. Did the extinctions take place over a period of several million years, or were they catastrophic? Did the extinctions occur worldwide at the same time on land and sea, or did dinosaurs live in some parts of the world for millions of years after they became extinct in N America? Paleontologists, geologists, physicists and even astronomers are working to answer these questions. Whatever the cause, it is remarkable that animals as diverse, adaptable and successful as dinosaurs could have died out completely. Completely, that is, with the exception of their descendants - the birds. D.A. Russell, A Vanished World: the Dinosaurs of Western Canada (1977), W. Stout et al, The Dinosaurs (1981); D.A. Russell, An Odyssey in Time (1989).